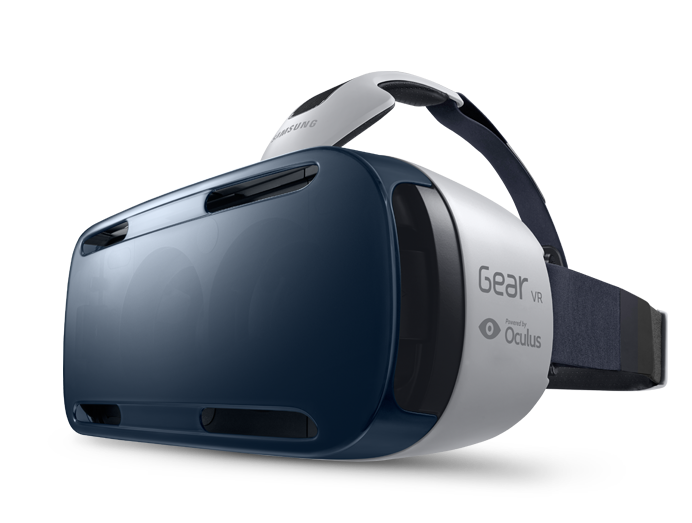 At CES 2016, one of the hottest trends was Virtual Reality (VR) technology such as the Samsung Gear VR headset covered in my post. While launch information on VR headsets focuses on gaming, there are so many other applications that are both practical and inspirational. Virtual worlds where users easily interact offer significant value with practical applications in areas such as education, music, retail, military, travel, sports and health care. EDUCATION: VR headsets are being used to give virtual reality tours to students, walking them through classrooms, libraries, dormitories and campus centers. While we all know that in real life tours are important for students choosing a college, the ability to narrow down options offers great value. MUSIC: A quick search on YouTube will show listings of multiple musical VR experiences available online already. The Los Angeles Philharmonic’s created a new virtual reality classical music experience that enables viewers to experience a beautiful Beethoven performance. Watching a one-dimensional video online is a treat to the ears and eyes, but adding virtual reality will extend the immersive experience. Artists such as Avicii are adding VR options so viewers can better experience their music videos. As I said in my education section, attending a live musical performance is the best experience. But why not supplement the in-person concert with exciting, online VR experiences? RETAIL: I found it interesting that Audi created a fully digital car showroom in London. Audi used a VR Headset to enable an interactive driving experience for customers. Driving while wearing a VR headset will certainly be an adjustment, but it’s a really interesting way to take a test drive! Knowing the streets of London as I do (I lived there for 6 months), I would actually prefer VR test drives rather than constantly dodging car mirrors while driving London’s narrow streets. MILITARY: Military training is intense and dangerous. I was interested to read that “Virtual reality training offers a pragmatic compromise. By delivering an intimate digital experience, students can undergo these military moments firsthand, without risk to themselves or others.” The VR exercises would be “computer-generated simulations of a three-dimensional world” and use sensor technology in accessories such as helmets, gloves. Virtual Reality is also being studied to help treat post-traumatic stress disorder (PTSD) for Veterans. TRAVEL: Deciding where to vacation and planning leisure or business trips can be overwhelming. I know there is 3D technology for map apps, but I also find it hard to follow. What if you could take a Virtual Reality tour of potential vacation spots or figure out where to stay in NYC with a virtual city tour? Travel is one area where I see lots of practical applications for virtual reality. Just a quick look on YouTube and I found a virtual reality walk in NYC, a virtual journey to Peru to see the work of Toms and their Giving Partners to bring shoes to kids and tour of the Grand Canyon! But my favorite was the VR tour of British Columbia including BC’s Great Bear Rainforest. That convinced me to add BC to my “places I want to go” list! MEDICAL: Along with potentially treating PTSD with Veterans, there are many medical applications of VR being researched. The National Institute of Health published a study that stated “The rise of Oculus Rift and the shift of virtual reality from PC to mobile phones thanks to both the Oculus designed Gear VR headsets for Samsung phones and the Google Cardboard project are going to transform health care tools and experiences”. Another NCBI VR study reported that “adults with ASD interaction with a virtual environment (a virtual city) is beneficial to the acquisition of pedestrian skills (street crossing and street navigation).” Doctors can also use VR to practice medical procedures and surgeries. Popular Mechanics reported a recent article about Doctors that used VR technology to save a baby’s life! SPORTS: Watching sports in real life, on TV and mobile devices is an activity many enjoy. But just think about taking that experience a step further with Virtual Reality. What if you can experience a ski slope in the Olympics or a winning pass in the SuperBowl instead of just watching it? I just read that Samsung will deliver the 2016 Youth Olympic Games In Virtual Reality and NextVR has developed software to capture and deliver live virtual reality sporting events and concerts to viewers in broadcast quality. Techcrunch also covered unexpected use of virtual reality including virtual online education (Unimersiv.com), pain relief (Deepstreamvr.com), manufacturing (Virtalis), big data warehouses and virtual workspaces (Murevr.com). Many new technologies take time to adjust to, but with the right value proposition it will gain adoption over time. What practical Virtual Reality applications seem most interesting to you? I’ve recently read a few articles about how VR is helping in complex legal cases. It was quite fascinating because there are so many situations where a judge or jury can’t imagine what happened and 2D exhibits just don’t provide enough information. VR will have many very helpful uses in addition to the fun aspect. @SaraFHawkins – Thank you for sharing the legal angle for VR. Very Interesting! Love this! I tried the New York Times VR viewer when I was visiting my Mom at Christmas and was blown away how well it worked with just an iPhone! I can see the benefits and love the idea of virtual travel before you decide on a destination.